Jordan Village, ON – There is a proverbial buzz as Jordan Village ‘Decks the Halls’, but the best is yet to come. 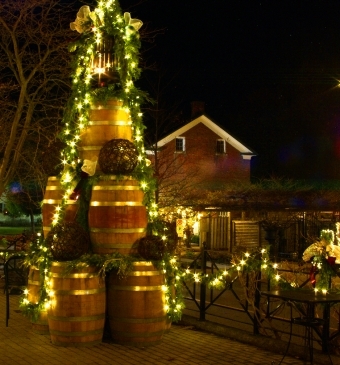 Christmas in the Village is an annual retail celebration and this year it takes place December 9th to 11th. This season we are adding style, flair and a flash mob of Santa’s. We invite you Friday, December 9th at 6:00PM for a tree lighting ceremony unlike any other. Dust off those Santa hats as the village endeavours to create the largest group selfie of Santas. Gather around the tree and become part of the flash mob singing Oh, Christmas Tree in celebration. Join us for warm cocoa, cider and nibbles provided by each of our stores until 8: 00PM. If you don't have a Santa Hat you can purchase one for $5 and a portion of the proceeds will go to Community Care. The tree is the talk of the Village! How so? Well, what do you get when you lock a bunch of winemakers, retailers and event planners in a room and ask them to come up with “something very special” for their Christmas celebrations? 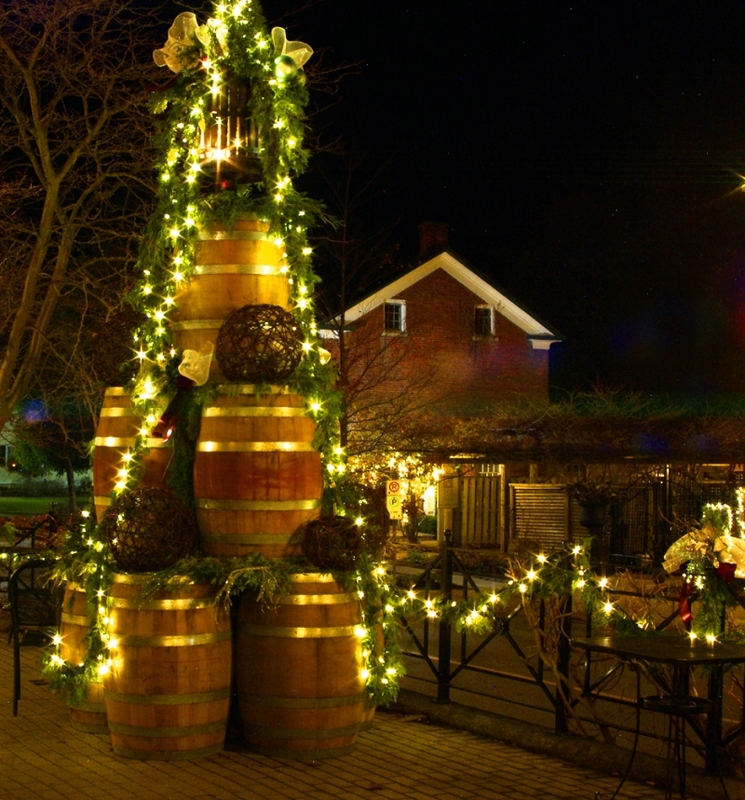 The group has created the 2016 Jordan Village Wine Barrel Christmas Tree. On Saturday and Sunday, the village will be a bustle with fashion excitement, Niagara’s very own Stylin Santa will be greeting shoppers and offering up styling photo ops around the Village. Be sure to visit the stylish shops filled with wonderful gift ideas for your Naughty & Nice list. Shopping deals and treats throughout the weekend. In the spirit of holiday giving, each store will also be collecting donations for Community Care of West Niagara. Be sure to catch #NiagarasStylinSanta and all his shenanigans Saturday December 10th from 1:00 to 3:00PM with special guest Mel Monaco and Sunday from 2:00 to 4:00PM. Take a selfie with Stylin Santa, post and share to Instagram and you'll be entered to win wonderful prizes from the shops in Jordan Village.